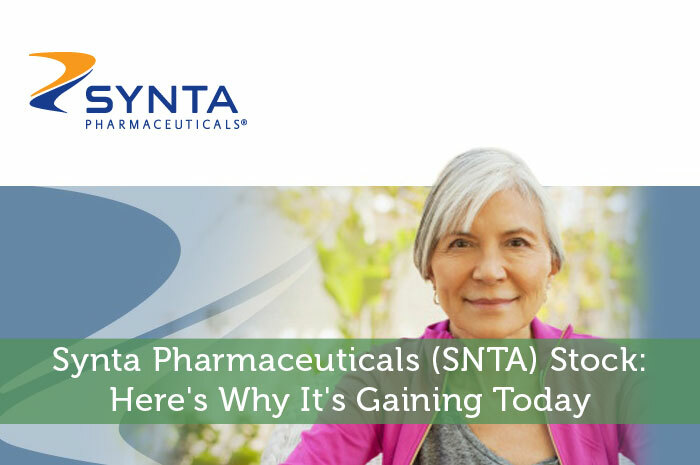 As mentioned above Synta Pharmaceuticals is having a strong day in the market today after announcing a merger. It was announced today that SNTA and a privately-held pharmaceutical company known as Madrigal Pharmaceuticals will be merging. Under the agreement, Madrigal will merge with a wholly-owned subsidiary of Synta in an all-stock transaction. According to the announcement, the merger is designed to focus on the development of novel small-molecule treatments that address major unmet needs in cardiovascular-metabolic disease and non-alcoholic steatohepatitis. As investors, one of the first things that we learn is that the news moves the market. Any time news is released that surrounds a publicly traded company, we can expect to see movement in the market as a result. Positive news leads to positive moves while negative news will lead to negative moves. We also know that nothing seems to cause excitement quite like mergers and acquisitions. So naturally, we’re seeing incredibly strong gains on SNTA today. Currently (12:17), the stock is trading at $0.38 per share after a gain of $0.14 per share or 55.85% thus far today. Moving forward, I have an overwhelmingly bullish expectation of what we can expect to see from SNTA. The planned merger is overwhelmingly positive news as it will give SNTA much of the information and resources that it needs to continue ongoing work on its current candidates. Overall, this is an incredibly positive move for both sides of the agreement. Where do you think SNTA is headed moving forward and why? Let us know your opinion in the comments below!